Home/Arctic blog: 79 Degrees North / / Where did all the Oxygen go? 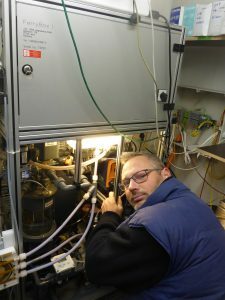 At our station we have several permanent Observatories, one of them is the UnderWaterObservatory (UWO) belonging to the the Alfred-Wegener-Instiut, Helmholtz Centre for Polar- and Marine Research. 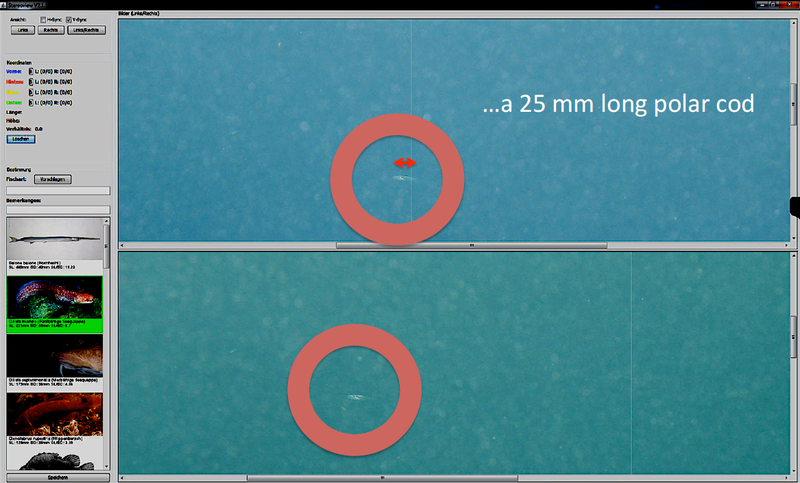 The system consists of two parts: One is the so called ‘Underwater Node’ which is installed at the seabed at 12 m depth. Connected to this node is the underwater stereo-camera RemOs1 (Remote Optical System) as well as other sensors. The RemOs1 is a floating system which regularly takes a vertical profile to the surface and measures the salinity, temperature, oxygen and takes stereoscopic pictures every half hour. With this pictures the scientist can get a glimpse of what life is abundant in the fjord – at all times, even during the polar night! The second part of the UWO is on land. 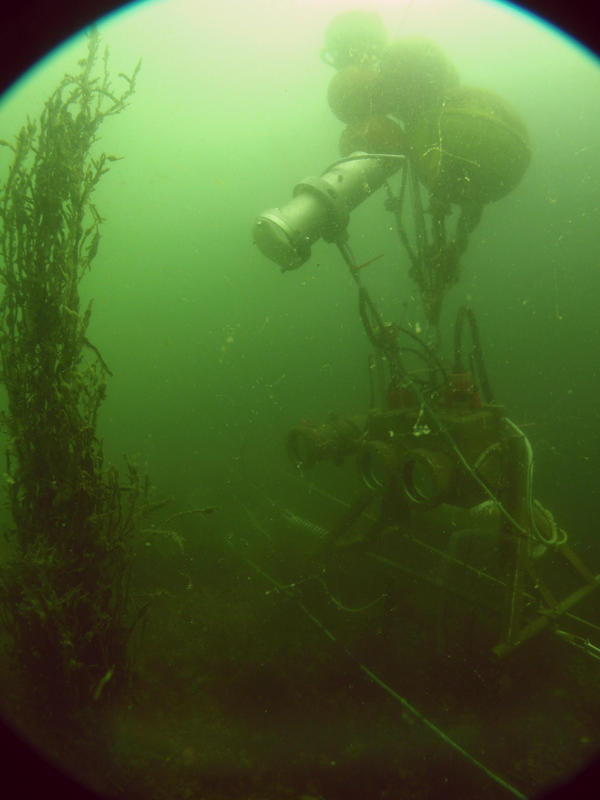 The so called ‘Ferry Box System’ pumps water from approximately 12m depth and analyses it continuously. It measures hydrographical parameters of the water, such as the temperature of the water, the salinity, the oxygen saturation, the turbidity, the amount of Chlorophyll A and the pH-value. In the last 1 ½ months we noticed a mysterious loss of oxygen – where did it go? Was it a malfunction of the sensor? We could not think of an explanation. Last week the team working with this system finally arrived at the station and started to investigate. 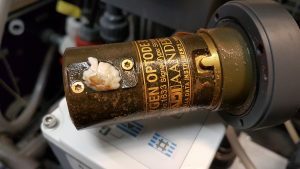 After taking a closer look at the inside of the oxygen sensor, they discovered something: Inside this tiny space was a tiny animal living, slowly feeding on the oxygen in the water. It had slowly grown over time and by now was nearly filling up the whole sensor compartment! The responsible organism was determined as a barnacle. 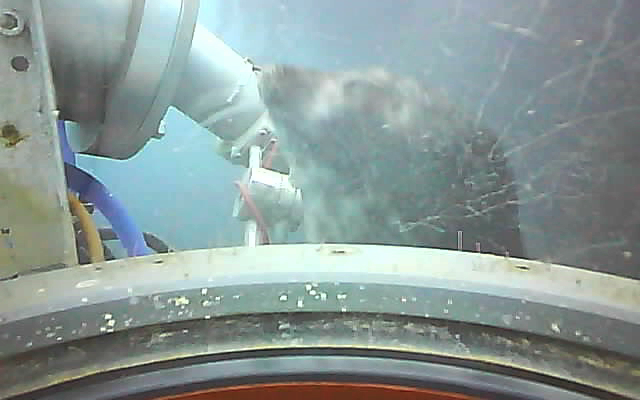 This small creature most certainly entered the system as a larvae while swimming in the water – and then settled at the most comfortable place which seems to be the oxygen sensor. We freed the poor creature ad the values jumped back to normal straight away! If you are interested, you can read more about the UWO here end even follow the life data.